Security in the electoral process is absolutely essential in this general election given the issues now being raised by Opposition parties. The parties will be ready to pounce on any incidents that might be perceived as suspicious and lend weight to their claims that this would not be a fair election. They are looking for elements that would create doubts in the minds of people. There is no doubt that the Fijian Elections Office has systems in place to ensure that the integrity of the electoral process is protected. More than 9000 election officials, recruited, trained and contracted, will help the Supervisor of Elections Mohammed Saneem, oversee the election to make sure it runs smoothly. It is generally expected that these officials will observe all the rules and protocols although their political beliefs and affiliation may be diverse. It means the tight monitoring of every step from the polling booths to the counting stations to ensure that the rules are not breached and the integrity of the system is not compromised. There should be zero tolerance on any attempt to undermine the poll. It is a serious offence. It only takes a rogue ballot paper to start a frenzy from Opposition parties. From previous experience it is not uncommon to have to deal with incidents and complaints. Some parties will always find an issue and complain. But because of the noise that is now being by made by the Opposition parties even before the election begins, it is absolutely crucial that this election is incident-free. The Opposition political parties have tried everything they can think of to discredit the electoral process and the FijiFirst Government. The race and religion cards have allegedly been used. First it was the misinformation about Indo-Fijians security and iTaukei losing their indigenous rights and land. They tried to form a united front, a sort of coalition, but it failed big time because of their deep-seated differences. Then it was the Muslims with claims that they will take over Fiji. Now it’s the electoral process with preposterous allegations that the election is not a level-playing field because it is rigged. Of course that is not true because they have failed to provide documentary evidence. The truth is that the parties, with some honest self examination, will find that resources they are using for this lost cause can be better utilised in their campaign to woo voters. They have had more time to convince voters in this election than the 2014 General Election. So no excuses. What they need to focus on is to ensure that their voters vote if they want to make a big impression in this election. They cannot hang their chances on ideas plucked from thin air. 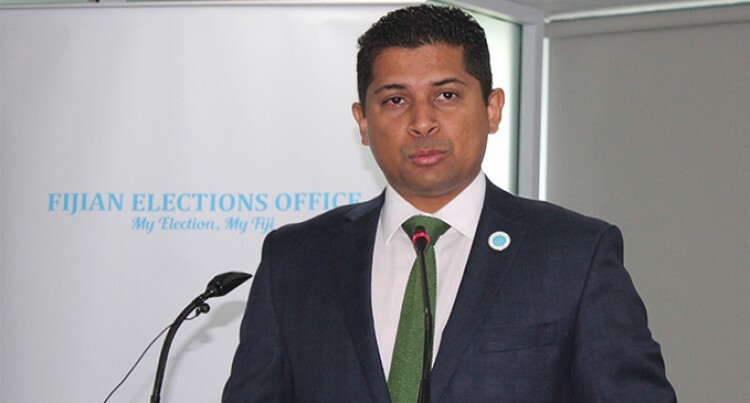 The Fijian Elections Office proved itself in 2014 when it came to security. The Multinational Observer Group gave it a big tick. It appears set to repeat the same performance in this election.